It’s the name asked for by more patients than any other professional whitening brand1, and for good reason. 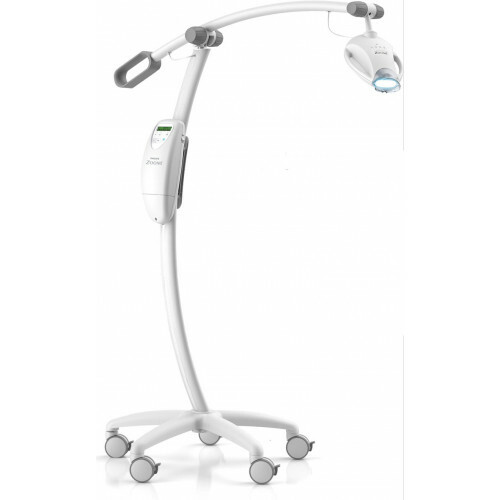 Only Zoom WhiteSpeed delivers maximum results, advanced LED light technology and variable intensity settings, and is backed by programs designed to drive patients straight to you. Backed by clinical evidence, marketing and training support, Zoom WhiteSpeed can help build your business while providing the brilliant results your patients will love. Zoom WhiteSpeed is clinically proven to whiten teeth up to eight shades in 45 minutes2... and outshines the competition when it comes to results and efficacy. In a study, WhiteSpeed provided over 50% better results than Opalescence Boost both immediately following the procedure and after seven and thirty days.3 That’s thanks in part to WhiteSpeed’s advanced LED light technology, which emits at the optimal light spectrum with 100% greater light intensity than the closest competitive lamp.4 When combined with the pH booster in the whitening gel, our advanced blue LED technology greatly accelerates the whitening process, delivering dramatic results your patients will love in just one office visit. The advanced Philips blue LED technology provides approximately 50,000 hours of use, reducing operating costs and downtime and decreasing energy consumption by 40% over previous Zoom models. The Whitening LED Accelerator emits 100% greater light intensity than the closest competitive lamp. The sleek lamp design conveniently stores the cord around the power pack, out of the way and out of the sight. 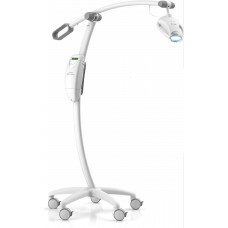 The contemporary counterweight also doubles as a handle to help you move the lamp into place, while large casters provide better mobility and larger knobs allow for a better grip during the procedure. Even though 99% of consumers experienced little to no sensitivity with Zoom WhiteSpeed,1 tooth sensitivity is a risk with all whitening procedures. However, with a little preplanning most sensitivity can be successfully managed. Your patient’s experience can be improved with prescreening for sensitivity and the use of Fluoridex Daily Defense Sensitivity Relief SLS Free Toothpaste and Relief ACP Oral Care Gel. Discuss that sensitivity is caused by the stimulation of the pulpal nerve by the hydrogen peroxide in the whitening gel. The high concentration of hydrogen peroxide in In-Office treatments helps achieve results that would take up to 2 weeks with At-Home kits. Explain that discomfort can range from generalized awareness of tooth sensitivity that lasts up to several hours to localized shooting pains that occur during or right after the procedure. Stress to the patient that NO damage is occurring to the teeth. 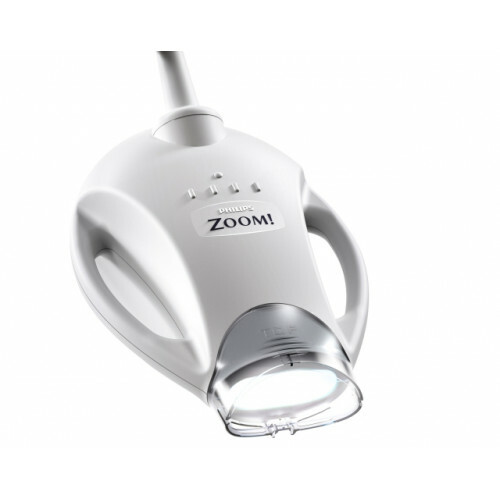 Use Zoom WhiteSpeed in conjunction with Zoom At-Home products for best results with patients who have gray shades, severe staining, or staining from tetracycline use. Before the procedure, recommend patients use Fluoridex Daily Defense 5000 PPM Neutral Sodium Fluoride Sensitivity Relief with 5% KNO3, 2x/day, 10-14 days prior. Apply Relief ACP to the lingual surfaces of teeth immediately before a Zoom procedure. Offer patients ibuprofen 1 hour prior to the procedure unless contraindicated. Cover all soft tissue to maximize patient safety and comfort. Protect exposed dentin due to recession or worn incisal edges with Liquidam. Have patients wear whitening trays with Relief ACP for 15 minutes immediately after a Zoom Procedure. Administer additional ibuprofen as needed. Consult dosage instructions for full prescribing information.